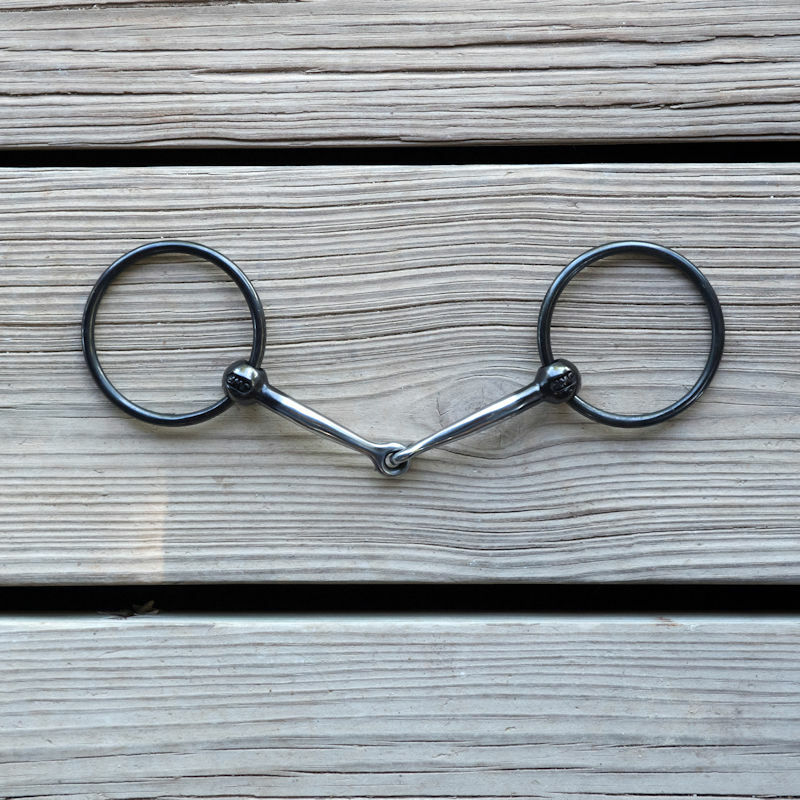 This 5.25 width mouth is offered by popular demand (1/4" increase in width is a great fit for the majority of horses today). The rings are the same size as always. The ball diameter was increased just a little to accomodate the wider mouth. This O-Ring has a copper inlaidmouth that has been highly polished, the finish is a hot blue.